Uncontrolled high blood pressure is a very serious health concern that can lead to heart disease and increased risk for stroke if left untreated. The good news is, by optimizing your dietary intake, exercising, and effectively managing your stress, the odds of normalizing your blood pressure are greatly in your favor. Eliminate Caffeine: If you have hypertension, coffee and other caffeinated drinks and foods can exacerbate your condition. Caffeine can have a powerful effect on your individual physiology. Consume Fermented Foods: Differences in gut flora from one person to another appears to have a large effect on whether or not you develop heart disease. If your gut flora is not healthy, your risk is much greater for heart disease, as well as many other chronic health problems. The best way to optimize your gut flora is by including some naturally fermented foods in your diet, such as sauerkraut, yogurt, kefir, and kombucha. Exercise: Physical Activity is by far one of the most potent “drugs” there is, and its side effects are exactly the kinds you want to experience. Most comprehensive exercise regimens will produce long-term benefits in people with high blood pressure. Nearly every program should incorporate anaerobic sprint or burst type exercises one to three times a week, as these have been shown to be even more effective than aerobic exercises at reducing your risk of dying from a heart attack. Control Your Stress: One in three Americana adults have high blood pressure (hypertension), and just as many, if not more, battle emotional and mental stress on a day-to-day basis. Emotional Freedom Technique (EFT) is an easy to learn, easy to use technique for releasing negative emotions. EFT combines visualization with calm, relaxed breathing, while employing gentle tapping to “reprogram” deeply seated emotional patterns. Optimize Your Vitamin D Levels: The farther you live from the equator, the higher your risk of developing high blood pressure. And did you know that blood pressure is typically high in winter months than in summer? Sun exposure causes your body to produce vitamin D. Lack of sunlight reduces your vitamin D and increases parathyroid hormone production, which increases blood pressure. Exposure to UV rays is thought to cause the release of endorphins, chemicals in your brain that produce feelings of euphoria and pain relief. Endorphins naturally relieve stress, and stress management is an important factor in resolving hypertension. 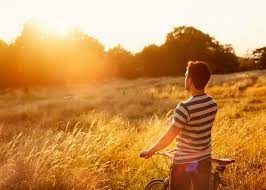 If you are low in Vitamin D, take a few minutes to get outside in the sun daily and take a supplement of vitamin D3. High blood pressure is an epidemic and like obesity, your best treatment is to evaluate your lifestyle and make the necessary adjustments. In the case of high blood pressure, lifestyle changes can put you on the road to a drug-free, all natural return to optimal health.